Import listings from Facebook and Yelp! Wait! Don’t kill yourself manually re-entering data from Facebook and Yelp. Use the GD Social Importer add-on. 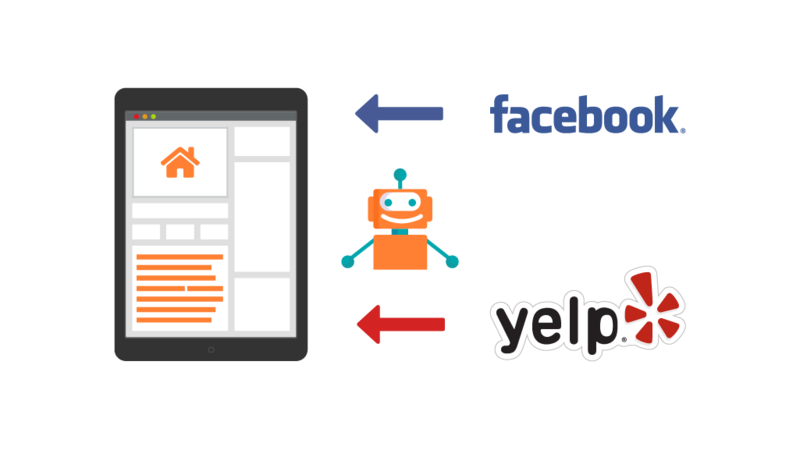 Using this simple tool, you can quickly import single pages and events from Facebook and listings from Yelp. Just enter your Facebook and Yelp API keys in the Social Importer option page, paste in the unique URL to import and click! Social Importer does the rest. Social Importer is not a tool to scrape Facebook and Yelp and cannot create bulk imports. Once you have input your URL you get a one-time import. There is no systematic update.